In order to help car buyers understand monthly fluctuations in car prices in the Philippines, Philkotse.com provides updated Suzuki Philippines price list as of April 2019 as follows. With thousands of Suzuki for sale at the cheapest prices updated daily by certified owners and dealers on Philkotse.com, your next ride may be just a few clicks away. 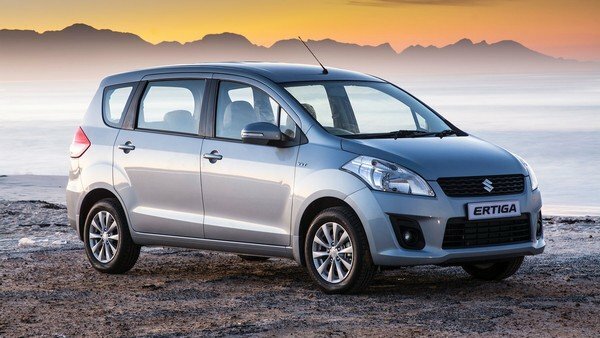 Check out the latest Suzuki cars Philippines price list this April 2019 on Philkotse.com, including the Suzuki Celerio, Suzuki Alto, Suzuki Jimny, Suzuki Swift/Swift DZire, Suzuki Ertiga, Suzuki Grand Vitara and the Suzuki APV. Latest special promotions and discounts from all Suzuki dealerships nationwide are also gathered here. Note that the following car price list and promos from Suzuki are updated regularly, so please bookmark this page to catch up with the latest automotive deals. Recently, Suzuki PH has announced the pricing for select models in 2019 including new excise taxes. Suzuki will continue posting new prices for their models until their stocks last, so remember to visit our page regularly to keep an eye out for the most updated price list soon. 1. Suzuki Alto 2019 price - Philippines - April : A P445,000 car? The first thing that surprises you about this car must be its price point. The P445,000 price tag seems to be unbelievable when people in the Philippines are economically-challenged by exorbitant commodity prices. The Suzuki Alto 800 is a compact yet capable car. 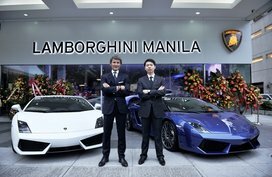 Launched in 2013, the car has proven its capability to be a modern car that can satisfy most of Filipinos with great comfort, fuel efficiency and a high economical level. 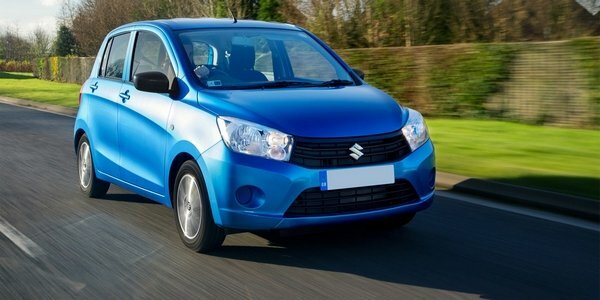 Go for an affordable Suzuki Alto is a good idea for those with a tight budget. 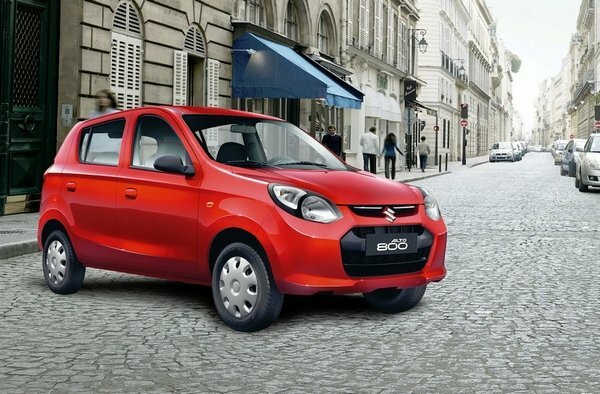 Besides its attractive price and excellent fuel-efficient capability of a 3-cylinder 12-valve 796cc SOHC petrol powertrain, the Suzuki Alto 800 boasts a tighter turning radius than most of sub-compact hatchbacks on the market, making it become an ideal car for city driving experience. The arrival of the Celerio is the first footprint of Suzuki into subcompact car segment in the Philippines. 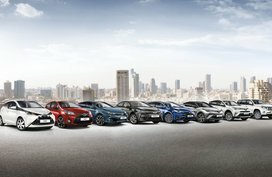 It comes adorned with a sharp front end design highlighted by special character lines on the side, earning the car a stylish silhouette. The all-new Suzuki Celerio 2019 now receives a bump in its size, offering more elbowroom, headroom and legroom for all five occupants. The cargo measures 254L and can be widened by folding down the back seating row. At the center of the car, an integrated sound system comes outstanding and can play AUX/MP3/CD/FM/AM formats. The car runs with a 1.0 DOHC 3-cylinder powertrain which is capable of doling out 67 hp and 90 Nm of torque, drinks 27.8 km/L on the highway. The new Celerio works with either a Continuous Variable Transmission or a 5-speed manual gearbox. List of safety features contains immobilizer, defogger, Dual Front Airbags and ABS. The Celerio 2019 is priced from P558,000 to P598,000. Cheaper options are also availble for your car search. Take a look at our list of all Suzuki Celerio in good condition for sale in the Philippines. The first hit of Suzuki into the mini-MPV segment in the Philippines was so impressive with the arrival of the all-new Suzuki Ertiga - an affordable, practical and reliable car. The Ertiga boasts a compact yet practical body, along with a spacious seven-seater cabin and a generous cargo, promising to satisfy all average Filipino family car owners. The car is powered by a 1.4L Inline 4-Cylinder 16-Valve engine working with a 4-speed automatic or a 5-speed manual transmission, which is a great choice for those who prefer engine reliability as well as fuel savings. Besides, the Ertiga is also equipped with standard airbags and series of other technical and mechanical features, bringing the driver and passengers pleasant experience. So how much a Suzuki Ertiga set you back? In the Philippines, a brand new one costs from P699,000 to P965,000. 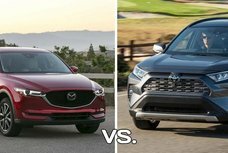 The local auto market is flooding with continuous launches of new crossovers and compact SUVs. However, if you forget this old solider, it would be a big omission - the Suzuki Jimny. It has gone through almost 5 decades since its launch and has proven itself to be one of the most favorite vehicles for off-road enthusiasts in the Philippines who prefer a nimble and light, yet very forceful and capable horse. 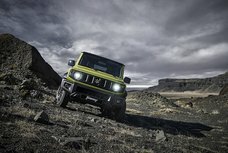 The Jimny is armed with a 1.3L 16-valve 4-cylinder DOHC In-Line powertrain, mated to either four-speed automatic or a five-speed manual gearbox. It is capable of reaching high levels of maneuverability off-the-road thanks to its excellent 4-wheel drive system. Besides, the Jimny also boasts a high ground clearance, making crossing over flood waters or thigh-high rivers become an easy task for this superb compact SUV. 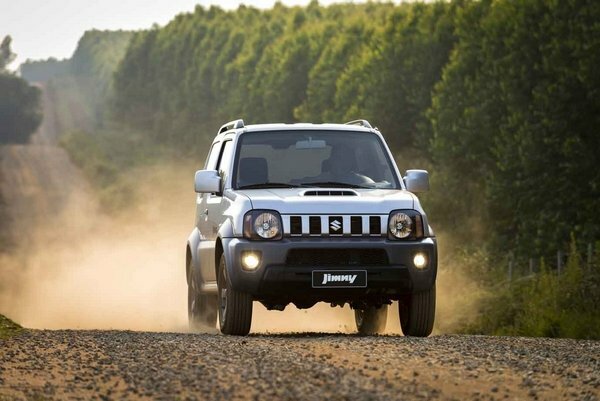 The Suzuki Jimny price goes from P910,000. To get the best deals for a Jimny, check out our list of Suzuki Jimny available for sale in the Philippines. In the subcompact hatchback segment, the Suzuki Swift comes as a serious rival for others. The hatch is originally called as “Cultus” but it has been renamed to be the current name for international market, except for its home market. 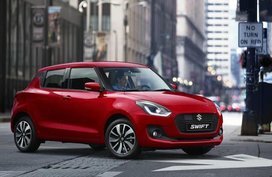 Now, the Swift is considered as the top-selling model of Suzuki with 5 million units sold worldwide. The fourth-gen model is furnished with a floating C-pillar, smaller sweptback headlamps, hexagonal grille and curvier contours. It is developed from the Heartect platform of Suzuki, making it become a light yet agile car. The interior is entirely redesigned to get more youthful vibe with more edges and curves. The Philippine-spec Swift runs with a 1.2L Dual Jet powertrain which can produce 82 hp and 113 Nm of torque, teaming up with a six-speed automatic transmission. 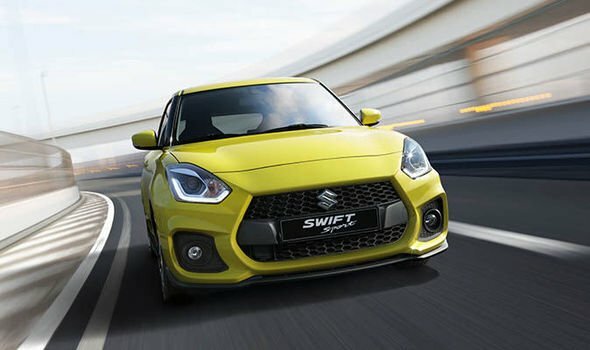 A Suzuki Swift 2019 will cost you from P755,000 to P899,000. Wait for what? Rush to the nearest Suzuki Philippines dealerships and get one! 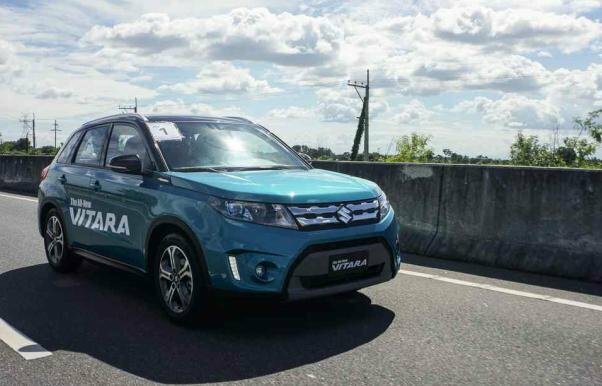 The fourth-gen Suzuki Vitara 2019 comes to the Philippines with a significantly smaller size than its predecessor. It is now considered as a subcompact crossover. Now driving in tight roads in rural areas and city becomes much easier with the Vitara. In fact, the car is built in Hungary and China, explaining why it greatly reflects images of European SUVs. The front fascia features a muscular bumper, big grille and wraparound LED headlights, earning the car an aggressive yet elegant design. It measures 4,175 mm in length, 1,775 mm in width and 1,610 mm in height. Stepping inside, the interior is decorated with a dark theme with suede pieces placed on its leather seats. The top-spec version receives a 10’’ Android infotainment display, plus offline navigation through six speakers to enhance the entertainment experience. Additionally, the Vitara is also offered 5-person seating capacity, panoramic sunroof and a white-on-black instrument cluster. What else? 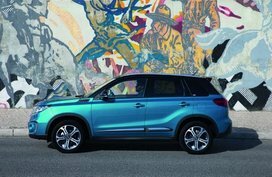 Find more in our Suzuki Vitara 2019 review. You can purchase a brand new Suzuki Vitara from any Suzuki Philippines dealerships with a price tag from P913,000 to P1,098,000. In spite of being a subcompact sedan, the Suzuki Ciaz gets a slightly bigger size than the rivals in its segment in the Philippine market. 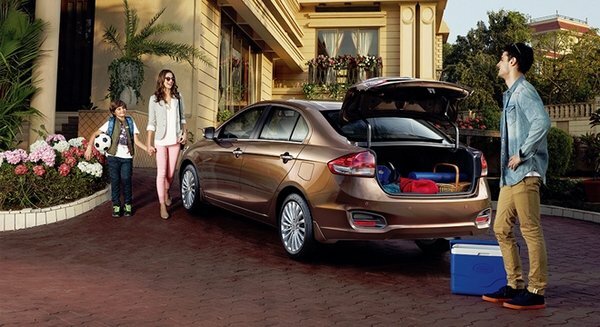 It is built to be a compact sedan but with a spacious cargo - 510L to be exact. The Ciaz’s exterior design is said to be inspired by the Celerio, but with a higher class. The interior boasts an 8’’ Android Capacitive touchscreen head unit and bronze plastic trims, bringing the car a classier standard than others in the B-class segment. The Suzuki Ciaz is armed with a 1.4L DOHC gasoline mill which drinks 20.7 km/L in combined fuel consumption. The higher version receives great updates in features package including leather seats, fog lights, touchscreen head units and rear parking sensors and camera. A brand-new Ciaz 2019 is priced from P795,000. In case you have a limited budget, let’s find cheaper options in our list of new and used Suzuki Ciaz for sale in the Philippines. SUVs of Suzuki's range such as the Vitara, Jimny and Samurai have become the most popular models for car lovers in the Philippines. While it is still considered as one of the top motorcycle manufacturers in our country with favorite small cars such as the Celerio, Alto 800, Jimny, Swift/Swift DZire, Ertiga, Grand Vitara and the APV. In-depth reviews of these models and other Suzuki cars in the Philippines can be found in our Suzuki reviews section.